12V DC input motion sensor with 1~10v dimming output and DIP switch setting, dual-processor technology to differentiate the natural light and lamp light, daylight monitoring function available. 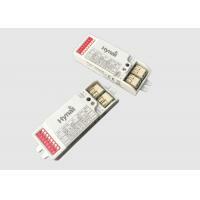 Input voltage 12V DC (5V & 24V DC version available on request). Dual-processor technology, real Daylight monitoring function for built-in application. 8 pin DIP switch setting, multiple options to meet different customer demands. Operation temperature; -20℃ ~ + 70℃. Hold-time means the time period to keep the lamp on 100% after motion detected. *when hold-time set as 3s, sensor enters into test mode, this test mode is mainly for users to choose the desired detection range. In this mode, the daylight sensor is disabled, when there is no motion, fixture keeps off, when there is motion detected, fixture keeps a cycle of 3s on and 2s off. 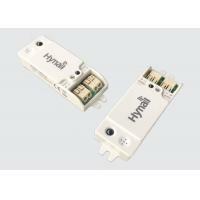 Daylight sensor means the daylight threshold to enable or disable the sensor function. "Disable": The sensor works always, even during daylight. "50lux": The sensor works only in twilight. "10lux, 2lux": The sensor works only in the dark. This is the time period that the lamp remains at a low light level before it is completely switched off in the long absence of people. 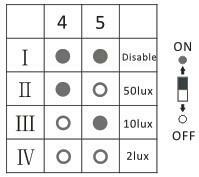 “+∞”: means bi-level dimming control, the fixture never switch off. This is the dimmed low light level you would like to have after the hold-time in the absence of people. Utilizing the Dual-processor technology, this sensor can tell the difference of natural light and artificial light(lamp) from behind the diffuser, switch on automatically(even without movements) when the ambient light is below target value, and then switch off automatically whenever the artificial light is not required(ambient light is bright enough). 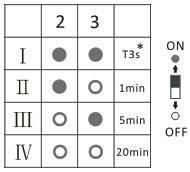 Note: Lux-Off sampling time—30s; Lux-On sampling time—10s. 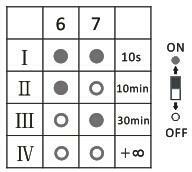 Lux-On function takes effect only when standby dimming period set at+∞. 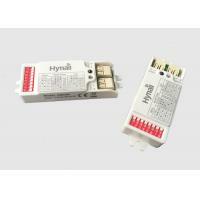 HYNALL INTELLIGENT CONTROL CO. LTD. 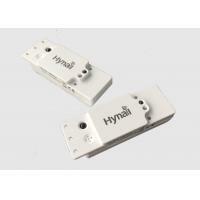 Established in 2016, Hynall is a technology & innovation oriented team who persistently strive for all kinds of professional microwave motion sensor controls based on our 20 years+ experiences in industry, we focus ONLY on microwave motion sensing technology, to serve our customers with ultimate solutions that match best and save most!! Although Hynall is 3 years only, we have the most experienced / professional R&D team + Sales team, thanks to our rich experiences for more than 20 years in microwave motion sensor industry. Our R&D team firstly studied and introduced microwave technology into China for lighting use. From this point of view, we are proud enough to call ourself the industry pioneer, and we still keep that strengths with us till now. What makes us stand out from others? a) Unlike many sensor manufacturers who also get themself involved in driver business or others, we focus only on our expertise--microwave products / solutions, we only do what we are really good at. 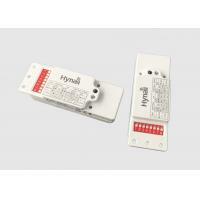 Every product out of Hynall is microwave related, we seek for product diversity inside microwave industry only! 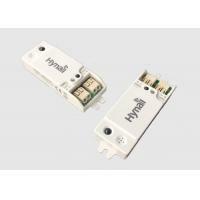 b) We have a comprehensive range of all series including antenna modules, digital antennas, AC input versions, DC input versions, VR adjustable versions, remote control versions, detached versions, daylight harvesting version, and so on. c) With such professional + well experienced R&D + Sales team, we understand deeply of different lighting fixture types and various sensor applications, enable us to offer customers with best product selection, trouble shooting and after sales service. 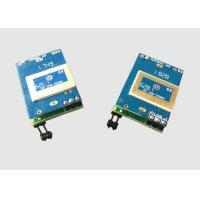 d) We are fast-responding and very flexible for all kinds tailor made products.